When it comes to printed-circuit boards (PCBs) and assembly, any engineer who works for a large company has plenty of internal resources to call upon. It can be different for an engineer at a startup—or one who hopes to sell the intellectual property of a product under development. To find out more about what it’s like to “work without a net,” I turned to Dale O’Harra, who I last wrote about back in 2006(see “Antenna-Analyzer Designer Bypasses the Business Bull”). Dale is, in fact, working on the latest version of that analyzer, but he also has lidar and infrared imaging projects underway on his workbench. All use state-of-the-art technologies that were out of reach for practical projects nine years ago. 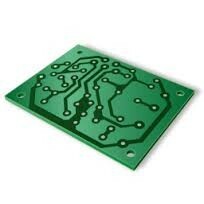 Be sure to also check out "A Quick Tutorial on PCBs." Dale: Back when I first started, which would have been in the late '70s, or early '80s, I'd hand-draw the schematics, and then, preparing the artwork for creating the PCB would be a tape-up job. I would tape them up large and then photo-reduce them down. The circuit-board fabricators would build me the board from those films.